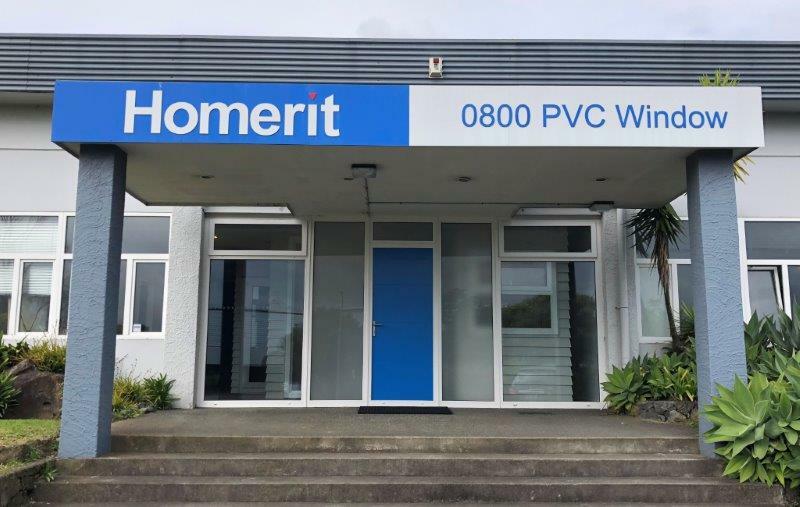 Homerit PVC-U entrance doors are designed for security, safety and weather performance. 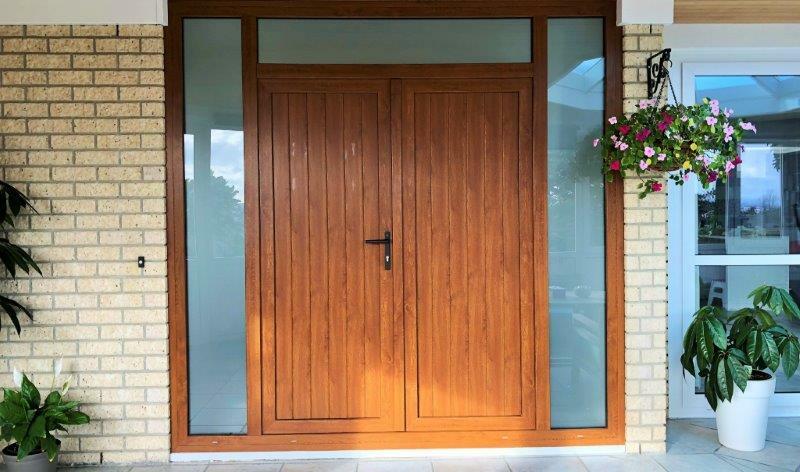 They are fitted with high security multi-point locking hardware. 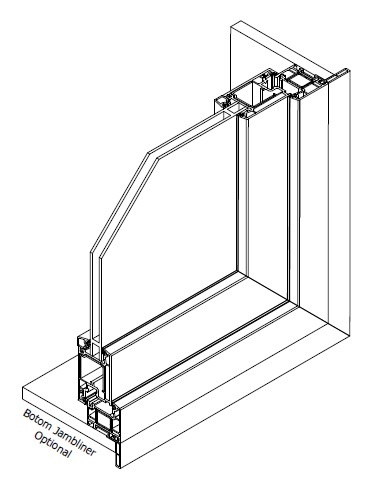 PVC-U entrance doors can be in full height glass or with vision rails in addition to solid “in-fill” panels. 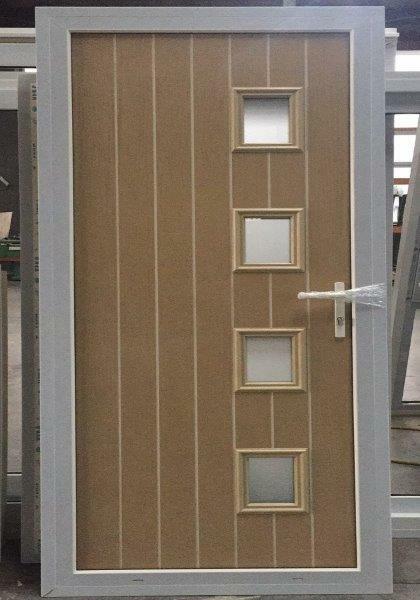 Golden Oak foil laminated entrance door is also a popular choice. 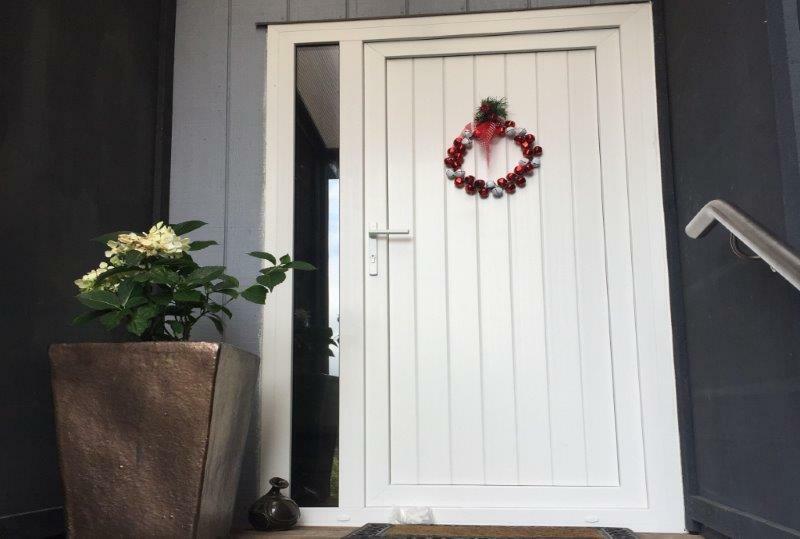 Parkwood fibreglass entry door panels can be fitted into Homerit PVC-U frames. A wide range of style options are available. 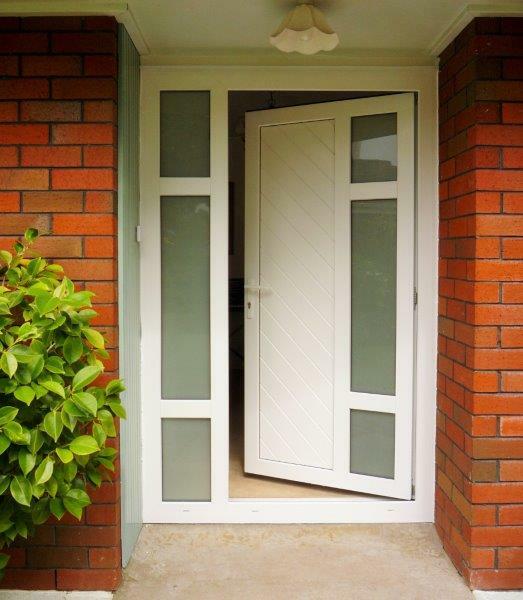 For more details visit Parkwood Fibreglass Entry Doors . 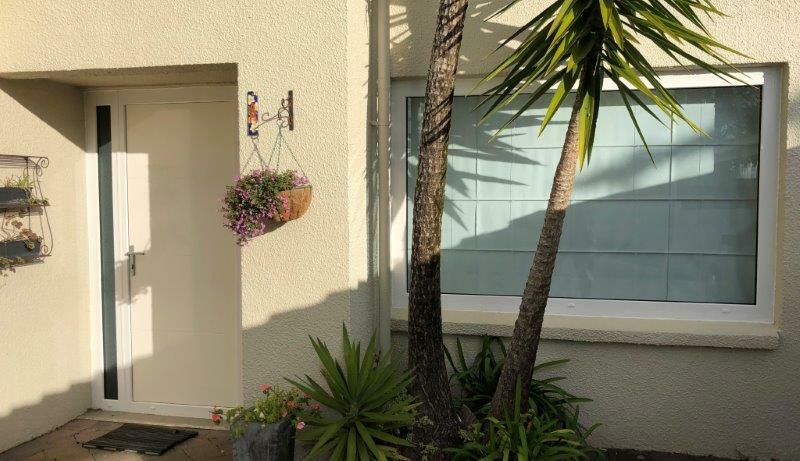 You can also paint the door panel with your own choice of color. 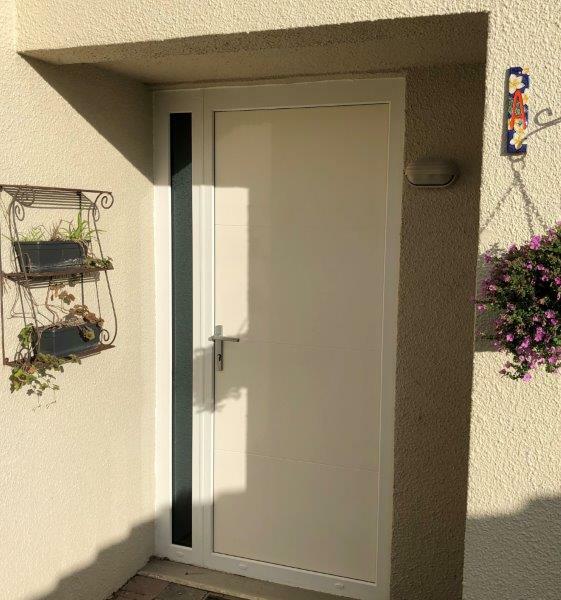 The following photo shows an unpainted door that has not yet been installed. 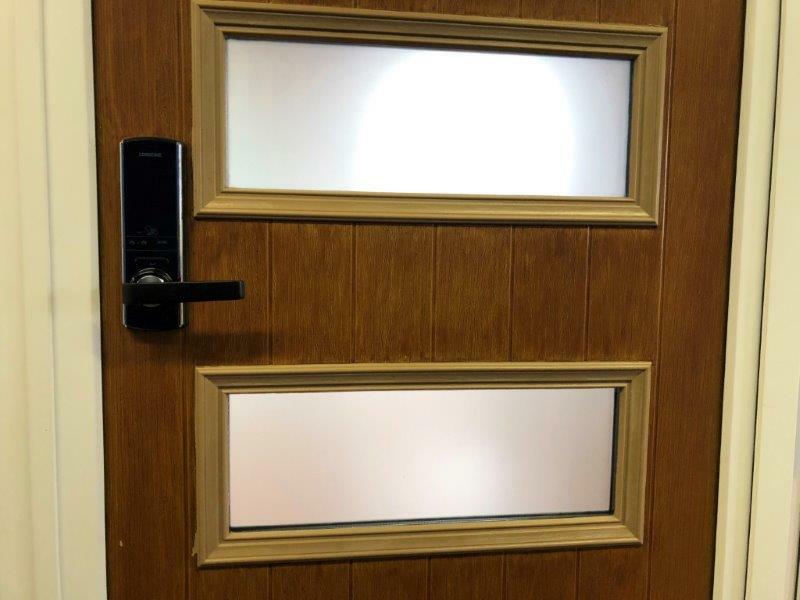 Digital locks can also be fitted into Parkwood fibreglass door panels. 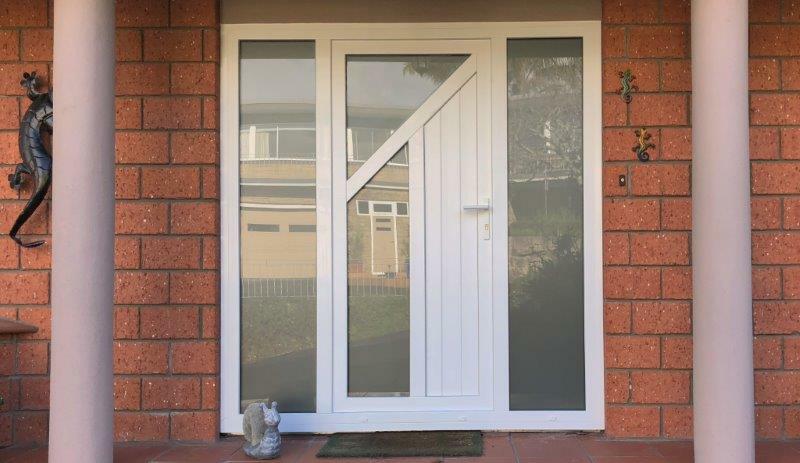 Digital lock and multi-point locking hardware can’t be fitted at the same time.